Maine's top corrections official says there were no warning signs that Arnold Nash would flee a minimum security unit in Charleston last Thursday. 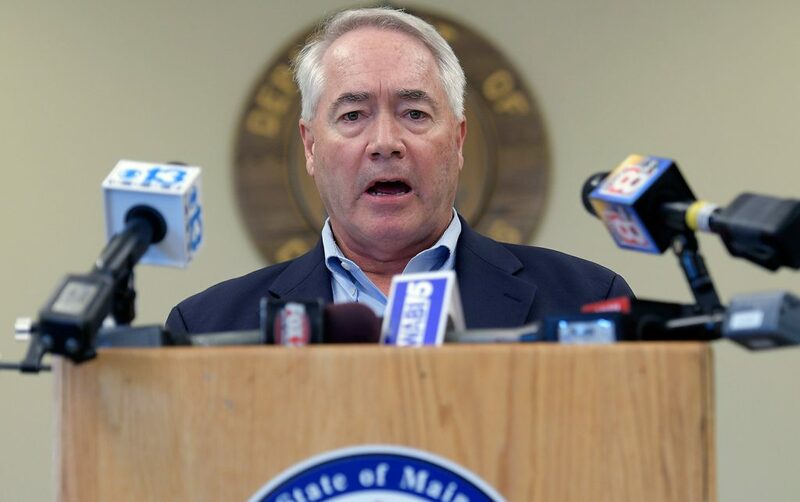 AUGUSTA — As the search for convicted murderer and career criminal Arnold Nash extended into a fourth day, Maine’s corrections commissioner said the prisoner showed no warning signs that he had planned to escape from a minimum-security prison in Charleston. Joseph Fitzpatrick, addressing the incident for the first time publicly Monday, declined to divulge many specifics about Nash’s escape last Thursday night from Mountain View Correctional Facility. He did, however, confirm that Nash was being housed in minimum security and was in a pre-release environment ahead of a scheduled release from prison in December 2019 when he walked away. Although several tips have come in since late last week, there have been no sightings. Charleston is a rural community about 25 miles northwest of Bangor. Nash, who has been in prison since he was convicted in 1992 of murdering his neighbor, is not believed to have family ties in that area and last lived in Hancock County. The 65-year-old has a history of escape, once from the Maine Correctional Center in Windham in 1973 when he was still a teenager, and again in 1981 from the former Maine State Prison in Thomaston. The latter escape, which involved another inmate, Milton Wallace, led to one of the most infamous manhunts in state history, the Moody Mountain Manhunt. The men were captured in the woods of the Waldo County town of Morrill after 22 days. Fitzpatrick said Nash has been at Mountain View for the last six months and was at another minimum-security prison, Downeast Correctional Center in Machiasport, for six months before that. He understands that people might have questions about why a convicted murderer, and someone who had a history of escape, would be housed in such a setting. “I can tell you as someone who has been in corrections for 25 years, if you look at the literature and the correctional research, and take someone who has a significantly long sentence like Mr. Nash and you keep them what we would call behind the wall or in a secure facility right up until the day they walk out the door … the risk to the community is much greater than if you take, at the end of their sentence, the last two to four years and try to re-acclimate them to the community,” he said. Nash had served about 26 years of a 45-year maximum sentence for the 1991 murder of Wilbur Gibeault in the town of North Sullivan in Hancock County. Fitzpatrick said Nash, like many inmates, had earned a significant amount of both statutory and meritorious good time, which is likely why he was due to be released so soon. Before his escape last week, Nash only had two infractions since 1992, and both were minor, Fitzpatrick said. He showed no signs of violence or aggression. Still, because of his history, Nash should be considered dangerous now that he has escaped, Fitzpatrick said. 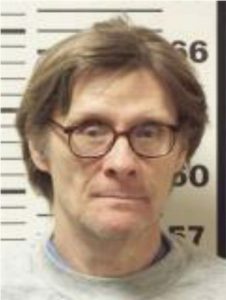 Maine Department of Corrections Commissioner Joseph Fitzpatrick, speaking at his Augusta office on Monday, confirmed that convicted murderer Arnold Nash was being housed in minimum security and was in a pre-release program ahead of a scheduled release from prison in December 2019 when he walked away on Thursday. Paul Davis, who represents Charleston and most of the surrounding towns in the Maine Senate, hasn’t heard complaints from constituents about the escape and is confident officials will find Nash. As for whether Nash’s escape was a failure of staff or administrators at Mountain View, Fitzpatrick said his department would review procedures, but he didn’t think that was the case.